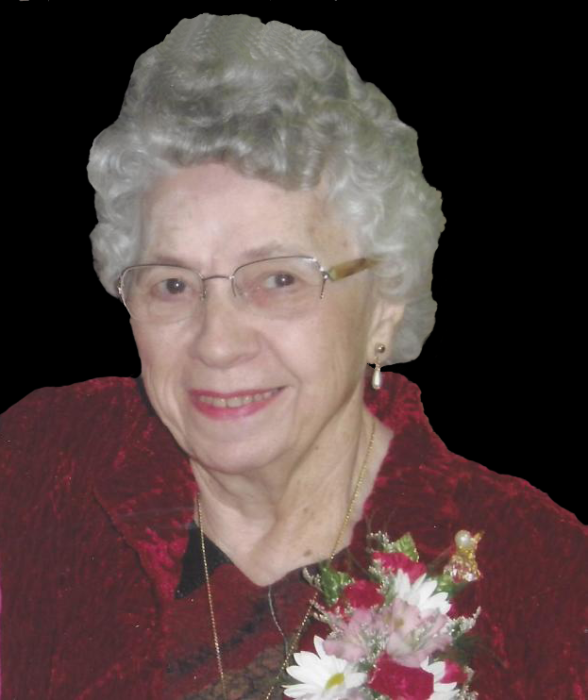 ELZORA CATHERINE OTT, age 91, of Luverne, died Thursday, March 21, 2019, at the Sanford Luverne Hospice Cottage. She was born December 14, 1927, in Rock Township, Lyon County, IA, to Henry and Mildred (Long) Wulf. She lived on a farm as a child in Alison Township in Lyon County, IA. Her family moved to a farm in Vienna Township, Rock County, MN in 1939. She graduated from Luverne High School in 1946. Elzora was united in marriage to George Ott on June 8, 1948, at the First Baptist Church, in Luverne. After their marriage, they lived on a farm north of Luverne until 1957 when they moved to Luverne. She worked at home raising four children and also did child care and seamstress work for others. Elzora is survived by her four children, Carleen (Michael) Bakalyar, Quincy, IL; Harlan (Carrie) Ott, Spring Lake Park, MN; Nelva Boergerhoff, Tequesta, FL; Janet (Paul) Ruble, Elk River, MN; nine grandchildren, eighteen great-grandchildren, six siblings, Naidine Aanenson, Luverne; Audrey Mae Munro, Sioux Falls, SD; Donald (Lola) Wulf, Sioux City, IA; Henry (Loretta) Wulf, Brainerd, MN; Ruth (Alan) Hendrickson, Citra, FL; and Gordon (Patricia) Wulf, Wellston, OK; two sisters-in-law, Ruby Wulf, Chula Vista, CA; and Carol Wulf, Luverne; and many nieces and nephews. She was preceded in death by her parents; husband, George, on December 19, 1990; two brothers, Franklin and Arthur; and a sister, Leila. Visitation will be from 5-7 pm Friday at the Dingmann Funeral Home in Luverne; and also one hour prior to the service at the church on Saturday. Funeral will be 10:30 am Saturday at the United Methodist Church, in Luverne, officiated by Pastor Theodora Hall. Burial will be in the Pleasant View Cemetery in rural Luverne.